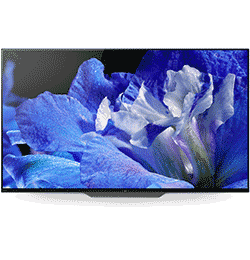 The OLED 4K Ultra HDR Smart Android TV is exquisitely designed to deliver breathtaking entertainment at the touch of a button. 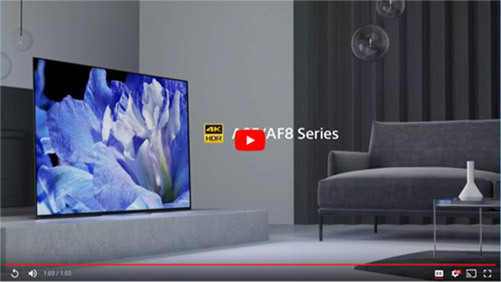 With built in Google Assistant, Alexa connectivity and voice activation you can control not only the TV content but also your Smart home devices as well getting answers to your questions. An almost invisible bezel combines with Acoustic Surface technology to deliver a truly immersive experience from an unobtrusive design. 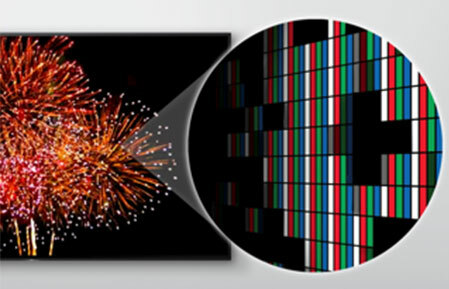 With over 8 million self-illuminating pixels, images are delivered with unprecedented contrast and exceptional clarity. X-tended Dynamic range PRO precisely balances the light output across the screen to capture the full range of colour. An optically designed Backlight Master Drive then enables the brightest lights and the deepest blacks. Innovative algorithm controls the LED structure for stunningly real images. A calibrated LED beam eliminates colour flare by ensuring that each LED emits a straight beam for the ultimate clarity. 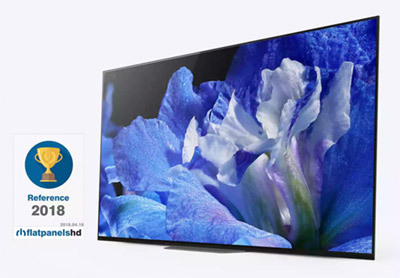 HDR Processor X1 Extreme detects static images and moves the individually controlled pixels to prevent image burn-in. With the OLED, the sound comes at you from the entire screen, adding a whole new level of immersion to your entertainment experience. X-Motion Clarity technology gives a boost where required so that there is never any blurring and that even the fastest moving images are delivered with exceptional clarity. Delivered, installed & demonstrated for free. Once you've ordered with us, sit back and relax. One of our specialists will visit to fit your appliance and talk you through how it works. It's a next-day service, so there's no waiting around. They'll deliver and install, make sure it's all set up properly, and give you a demo. The best bit? That friendly support's included in your subscription for free. Something went wrong? Don't worry, we'll repair it. Won't turn on? Buttons not working? Give us a call – we'll often come out the same day. An expert will assess the problem, and complete repairs during the visit (where possible). Our high fix rate on home visits means your appliances are in good hands. Callouts and repairs are always free, so don't hesitate to get in touch any time you need our help. If we can't repair your item, we'll replace it. It takes a lot to stump our experts. If we can't do repairs there and then – for any reason – you'll get a like-for-like replacement. There's no charge for this service. And we promise that ‘like-for-like’ quality, an equivalent with the handy functions and settings you're used to. Speedy switchover time means you're never without the appliances you need for long. Newer model just come out? Simply upgrade, hassle free. Brands bring out new products all the time. Why should you miss out? We give you the option to upgrade to a newer version of your chosen appliance each year. Every category on our website’s regularly updated with new products. When an upgraded model’s listed, check the monthly cost and call us. The same great value and free benefits will apply to your next rental. The product is first rate and slimline. It has Smart TV but i don't have to use this. The picture quality is outstanding and the sound is as clear as a bell. Excellent and helpful service over the phone. Delivered on time and installed professionally. Well pleased with the TV. Will continue to deal with Forbes. I have rented my television from Forbes for over 20 years and have found them to be reliable in all aspects. I would recommend them to anyone interested in a rental package. The service as ever was excellent and the engineers friendly and very pleasant and helpful. We have been customers of Forbes for many years and have had nothing but great service. Very prompt delivery and very helpful service and advice. Quick installation and very clear and easy instructions on how to use.